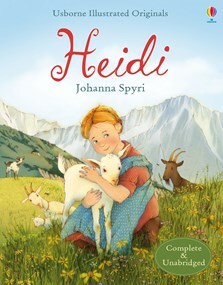 A beautiful gift edition of Johanna Spyri’s timeless classic, enchantingly illustrated and told in its complete and unabridged form. One of the most popular children’s books of all time, this heartwarming tale is as entrancing now as when it was first written. With a padded cover, stylish design and a ribbon marker, this will make a gift to be treasured and shared together again and again.